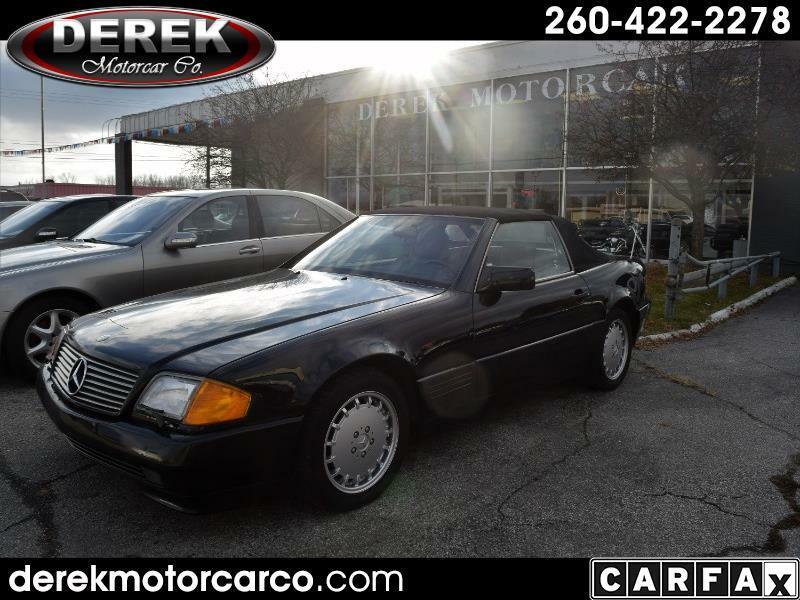 Used 1991 Mercedes-Benz 300 SL coupe for Sale in Fort Wayne IN 46805 Derek Motorcar Co.
Fun to drive. Two tops, soft top convertible as well as the removable hard top, included. Nice color combination, Black with tan leather interior. Kenwood AM/FM/CD, wipers on the headlights, woodgrain, tach, cruise, full size spare tire. See it today at Derek MotorCar! (If Mercedes are you passion, we have 20 in stock, from SL, CL, ML, R Class, E, convertibles, hard tops and 4-matics. If you are into the classics, we have a Rolls Royce, Galaxie 500XL, GMC Rat Rod and more. Message: Thought you might be interested in this 1991 Mercedes-Benz 300.